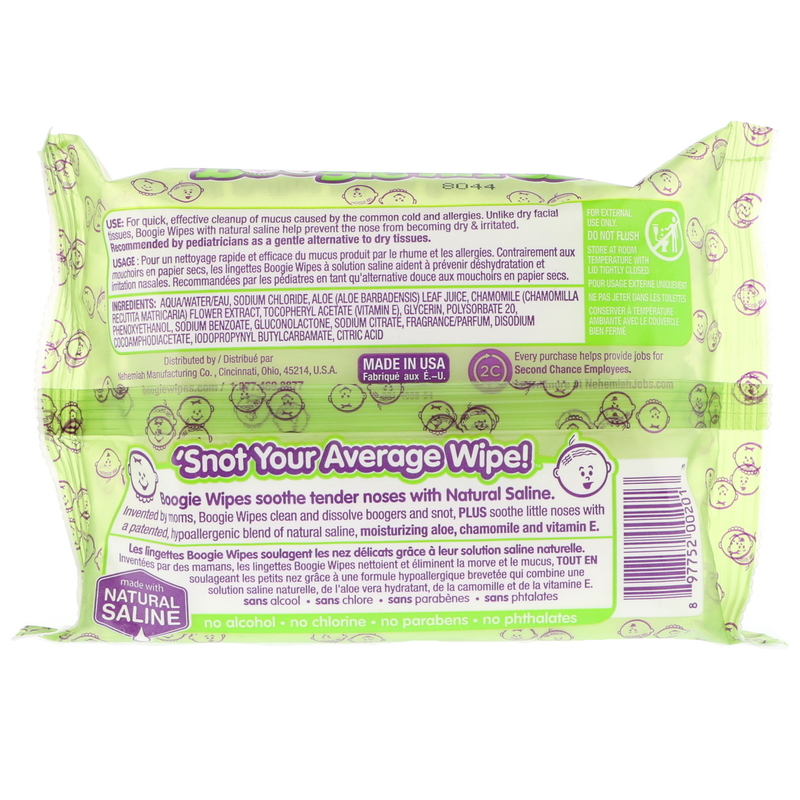 Boogie Wipes soothe tender noses with Natural Saline. Invented by moms, Boogie Wipes cleans and dissolves boogers and snot, plus soothe little noses with a patented, hypoallergenic blend of natural saline, moisturizing aloe, chamomile and vitamin E.
For quick, effective cleanup of mucus caused by the common cold and allergies. 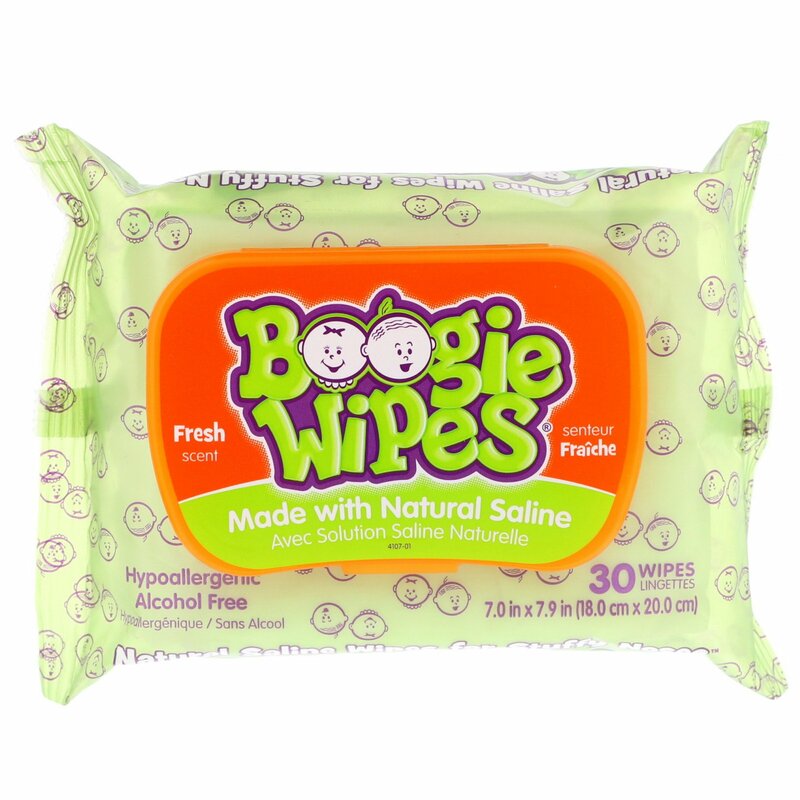 Unlike dry facial tissues, Boogie Wipes with natural saline help prevent the nose from becoming dry & irritated. Recommended by pediatricians as a gentle alternative to dry tissues. 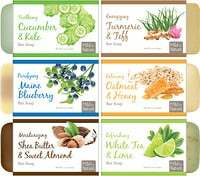 Aqua/water/eau, sodium chloride, aloe (aloe barbadensis) leaf juice, chamomile (chamomilla recutita marticaria) flower extract, tocopheryl acetate (vitamin E), glycerin, polysorbate 20, phenoxyethanol, sodium benzoate, gluconolactone, sodium citrate, fragrance/parfum, disodium cocoamphodiacetate, iodopropynyl butylcarbamate, citric acid. Store at room temperature with lid tightly closed.